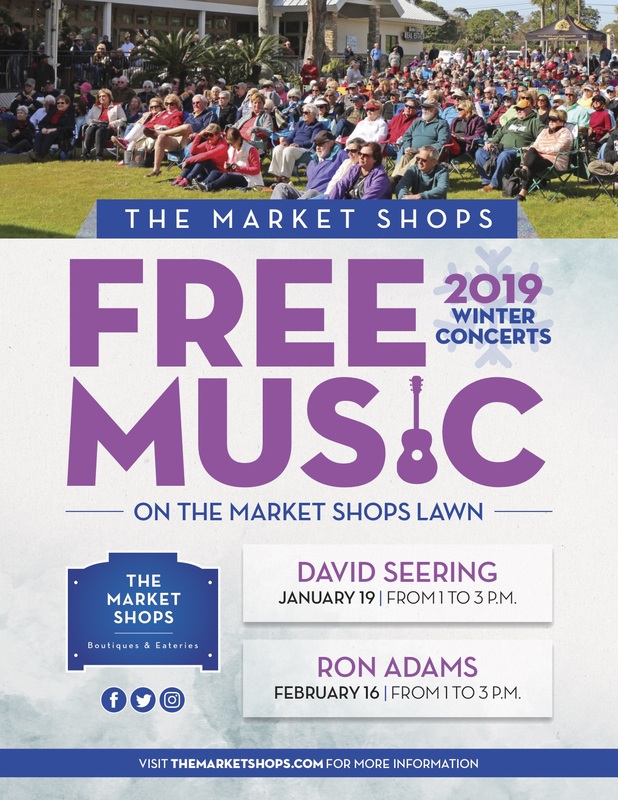 WHAT: The Market Shops, located at the entrance to Sandestin Golf and Beach Resort, presents the 2019 Winter Concerts. The two concerts will take place on January 19 with David Seering and February 16 with Ron Adams. The Winter Concerts are free and open to the public. They will take place on The Market Shops’ main lawn from 1 to 3 p.m. Attendees are encouraged to bring their own chairs and blankets to enjoy the show.